Well the heavens opened just before we were about to start so some welcome shelter was sought in the cars and Andy Morrison’s gazebo. 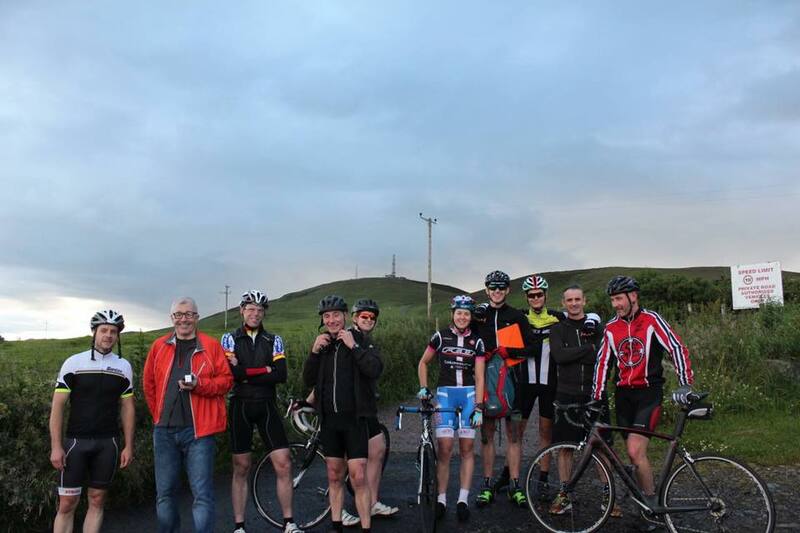 We had 13 out on the night, a smaller than usual number for our midweek events, it seems folk don’t like climbing hills, surely not! With no fewer than 3 helpers offering me assistance (nothing to do with the steep climb) we got proceedings underway shortly after 19:20. With the clocks sync’d I set on my way up the hill to the finish line, accompanied by Dean Horton, who didn’t want to be included in the timings however still timed himself! David Sutton helped set the riders off in 30 second intervals, assisted by Andy Morrison on photo duty and with moral support from Graeme Mitchell. Luckily we were quite forgiving with the start times considering one person, no names, missed their slot due to a rather excessive warm up routine! 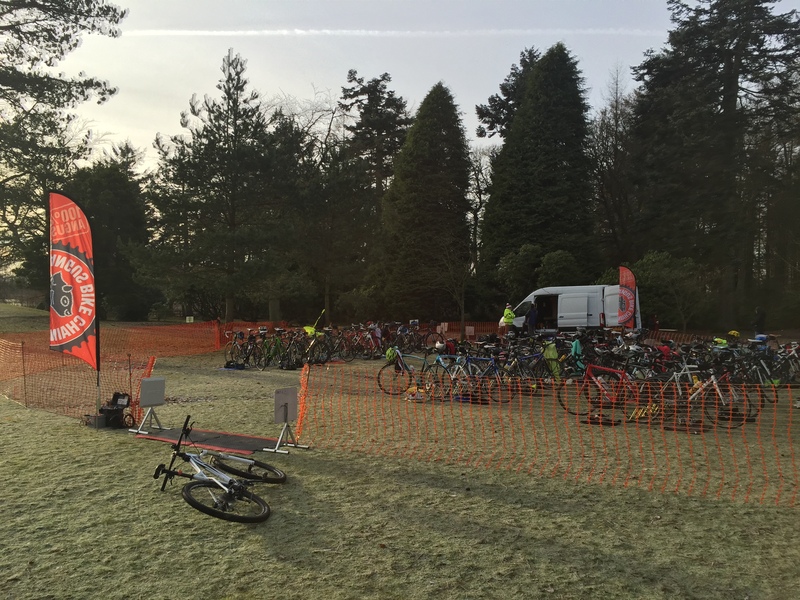 First rider off was Sally Newman Carter, shortly followed by Cheryl Walls, don’t mention that cattle grid. We had some timing issues at the top, maybe it was high altitude or just a flakey timing unit however the scores on the doors should be reasonably accurate, the finishing order is anyway! Fastest rider on the night was the newly crowned 3rd cat rider Francis Chesters with a time of 8 minutes 4 seconds closely followed by Nico Anelli. Well done to everyone. We are up in Whigstreet in two weeks’ time for the APR.